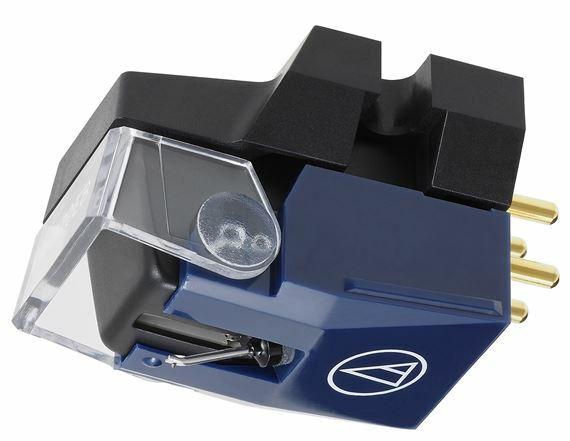 Shop Audio Technica VM520EB Elliptical Bonded Stereo Turntable Cartridge from AMS with 0% Interest Payment Plans and Free Shipping. Incorporating today’s advanced technology, the VM520EB is a high-end phono cartridge providing detail and accuracy for your music. Like all VM cartridges, the VM520EB is equipped with dual magnets that are positioned to match the left and right channels in the stereo record groove for outstanding channel separation and extended frequency response. The cartridge’s 0.3 x 0.7 mil elliptical bonded stylus tracks the record groove with high accuracy for outstanding audio reproduction. Includes mounting hardware. Dimensions (H x W x D): 17.3 x 17.0 x 28.2 mm / 0.7 x 0.7 x 1.1"
After careful installation of the AT VM520Eb cartridge I played a variety of albums that I was familiar with and was simply amazed at the sounds this simple piece could bring forth. Especially of note were the clear highs that other--more expensive carts--failed to reproduce. I have finally found the answer to getting the most from a record--be it old or new. Thanks AMS and AT for making my day complete.